What happened to all the historic buildings at 7th Street, Florida Avenue, and Georgia Avenue? We all recognize the CVS and its adjacent parking lot. As we reported before, the adjacent grassy field is slated for a residential development by JBG, one of the region’s largest development companies. 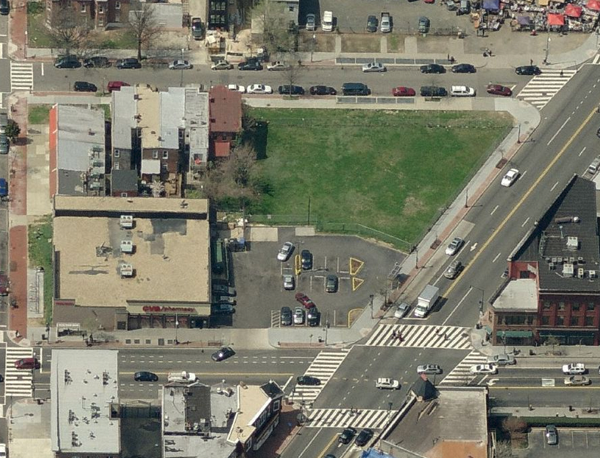 But how did the CVS, the parking lot, and the grassy field get there in the first place? They are the consequence of the 1968 riots and of the construction of the Green Line tunnels. 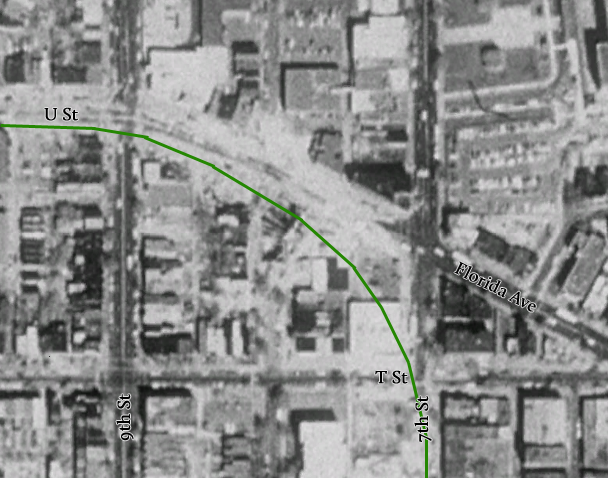 Decades later, the intersection sat at an elbow in the proposed Green Line tunnel. The subway line curves from 7th Street to Florida Avenue and then to U Street. Much of the line was constructed using the cut-and-cover method, which requires razing buildings, digging a trench, building a concrete box in the trench, and covering it back over. Subway tunnels typically run under existing streets, but sharp changes in direction require cutting corners and thus the creation of tunnels where buildings often stand. A 1988 photograph shows the construction of the Green Line tunnels, which pass under the CVS and adjacent lots. What the riots didn’t destroy, the Green Line took care of. Hey. Very, very interesting picture. 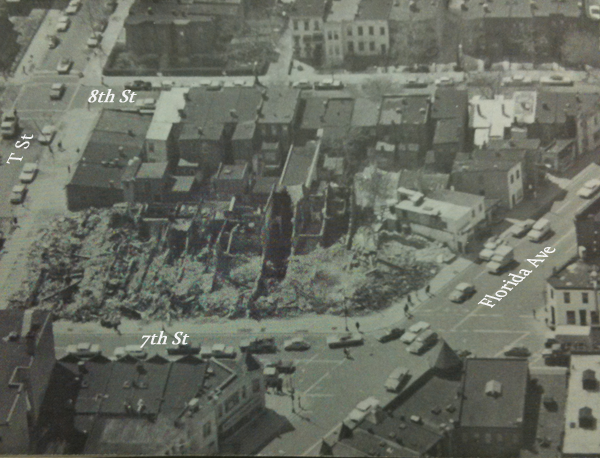 I had been under the impression that a lot of the 1900 block of 8th st had also burned. That is not evident from the photo though. Those buildings must have been torn down later. Would be interested in know more about the Congressional report published in the wake of the riots. Are there more photos available in it?